Welcome to the Year>>Noted Rose Blossom Blog Hop! If you are coming from Marg's blog, you are in the right place. If you are starting here, welcome! With this wonderful kit, I used the Artiste Cartridge! Cutting out these cute file folders, and using the great stamp set, I came up with miniature "goals" and "adventures" folders. This can be a cute way of keeping your eyes on your goals and document the adventures you have on the way. I made tabbed files to keep the information organized. The stamp pads used are Sorbet (around edges) and Desert Sand. Thanks for stopping! Be blessed! Now you are off to the lovely Shelly! She always has something pretty! Now this idea would be a lot more fun than regular filing! These are just perfect to set on your desk without taking much room. I love this idea and may just have to copy you!! What a wonderful project, Barbara!! Those files are such an amazing idea! You did beautiful work! Great idea! You've inspired me to create these! Thank you! What a great idea! You've inspired me to get the Artiste cartridge out again. Thanks! You are so right about being organized ... it should be fun! Love everything about this project. 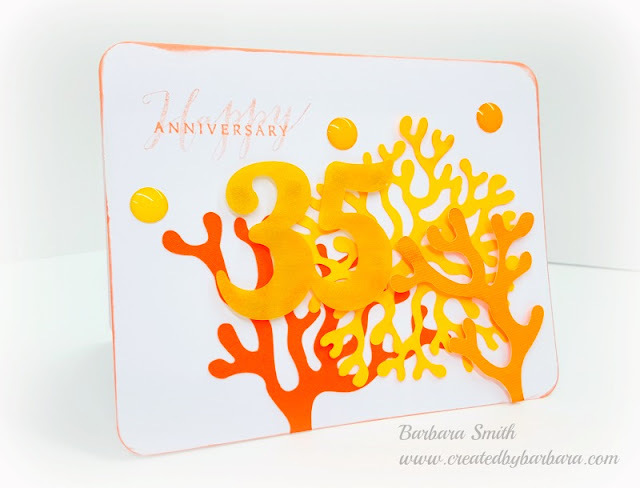 Your color choices and stamping are perfection! Looks like I'm not the only one set to do a lifting here ... thanks for the inspiration! That is such a cute idea! What a fun way to stay organized!! So clever. I love it. Great files! Thanks for sharing. I LOVE the file folders! The cards give me ideas for using this stamp set for journaling cards. I love the semi-circle accents at the top of the files and the way you used the sentiments as well. Really cool idea.